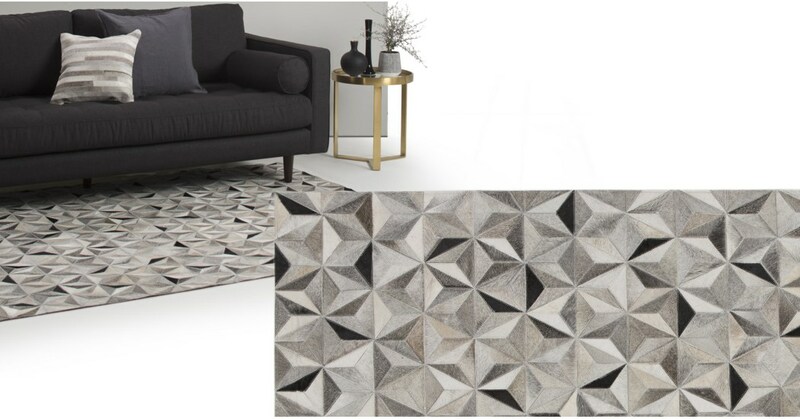 We’ve given the traditional hide rug an upgrade with modern colours and a bold geometric pattern. Let it liven up any bedroom or living room floor. Each tonal grey cowhide panel has been expertly positioned for a clever 3D effect. The rug itself is totally flat underfoot. It’s no secret, India is the home of great textile-making. Manufacturing expertise plus 100% cowhide - Aster’s a soft-to-the-touch showstopper.